WARNING: this article is meant to be an anxiolytic for all the people foreseeing that, following elections, Italy will leave the EU/Euro. If you read newspapers or browse through websites regularly, you might have noticed that we finally have the definitive results of Italian parliamentary elections. Before the actual elections, some commentators have described them as the most important elections since 1945. Well, I do not know if that is the case, but they were definitely the most interesting and surprising ones for a long time. With an upper chamber split in three, there cannot be a unitary and solid majority – the country is in a deadlock. That is a fact. Fact number one. It is also a fact, fact number two, that the centre-left coalition, which had a 10% advantage over all opponents in January, has probably run the worst electoral campaign in the history of humanity. Also, fact number three, Berlusconi still has appeal over Italians, and that also is a fact, not an opinion – like it or not. Monti and his austerity policy were strongly punished by Italian voters, and that is our fourth fact. 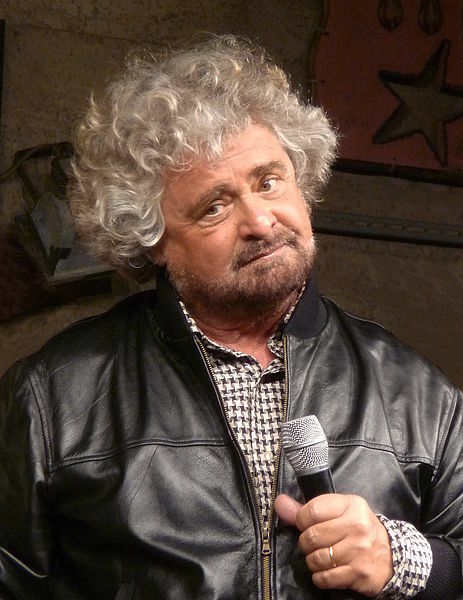 We then have the last factor of these elections, Beppe Grillo. Despite being a clear winner of these elections, his movement received appraisals as well as (mostly) criticisms by both domestic and foreign press. Most have (rightly) defined his movement as a populist one; many have (wrongly) drawn from this the conclusion that Italy is on the edge of an anti-EU era. I find it worth focusing on Grillo, and his Five Stars Movement (Movimento Cinque Stelle) for this article, and that is mainly because it is the most enigmatic of all forces in these elections, which also leads to the observation that facts about this political force need to be set out clearly, outside the exaggeration of mass media. The Washington Post used a very powerful headline to describe the current post-election situation “Beppe Grillo, the man who holds the fate of the euro zone in his hands like a tiny bird”. It is certainly a truthful statement, but there is also a clarification to be made here. Beppe Grillo (and his movement) holds the future of the euro zone in his/their hands, they hold the balance of power of the new phase in the political life of Italy, and consequently of the EU (even though people tend to forget , Italy is still one of the four biggest member states in all senses). This, again, is a fact. What this sentence should not suggest is that Grillo is about to squash the bird in his hand. Following discussions on social media, I disappointingly discovered that many people were deeply influenced by mainstream media. 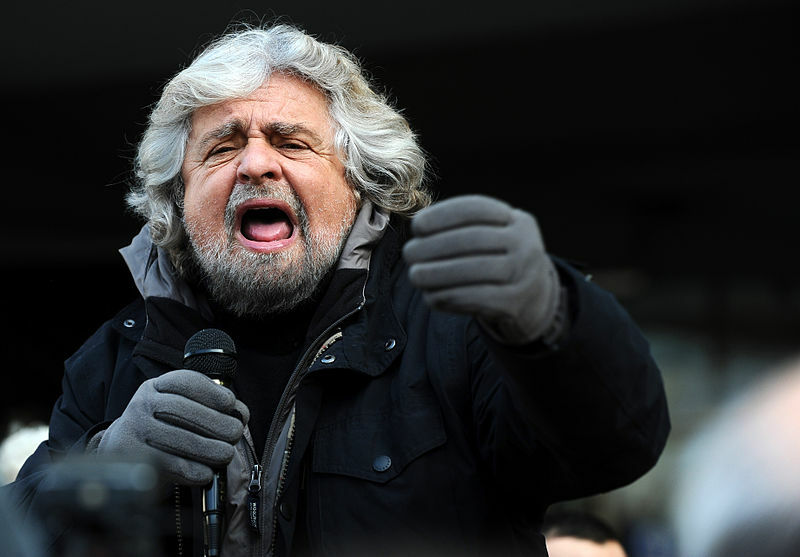 Of course, it is undeniable that Beppe Grillo’s movement is a populist one. But let us take a step back: , populist comes from the Latin word populus: the people. This means that, in a nutshell, what a populist tries to do is not follow a fixed ideal, but adapt his ideal to the will of the people in a given moment. Following this reasoning, the definition of Grillo’s movement as a Eurosceptic one (and of the Italian elections as anti-EU elections) is an absurd and completely unrealistic one. As a first point, Grillo never explicitly proclaimed his opposition to the EU or the Euro. He simply stated that he wants the people to decide, and that is not only in line with his populist nature, but also with his whole political programme. In addition, he and his companions never ever talked about Italy leaving the EU. Or better yet, they argued for having less EU as it is now, but in favour of having a reformed EU. Their end view is to bring their concept of direct democracy to a supranational level, and despite being against an elitist type of EU, that is by no means a eurosceptic view. Now, even supposing that this EU/Euro referendum should take place, I personally am fairly convinced it would be a plebiscite to remain part of it. After all, every single one of the four big coalitions or parties that emerged out of the elections are pro European (each with its own view of how the EU should be), and they represent together almost 90% of the total votes. Let us, therefore, not forget that an anti-austerity vote is not equal to an anti-EU vote, and that populism is equal to euroscepticism only in those countries in which the populus itself is eurosceptic. Again, if populism is equal to following the will of the people, then Beppe Grillo is in the end equal to EUphilia. Actually, I think that Grillo should be taken more seriously from Brussels. He should not be despised by Elitist Politics. He is kindling a new fire in one of the founding member states, and the EU and its institutions should prepare themselves to a new situation with a higher involvement of the common citizenship, otherwise they will face a major rapture between political elites and the European populus. From the article, it is reasonable to assume that the Italian vote was a protest directed to the national political elite, not the EU. The EU is not a political elite which can be considered within the nation state concept of liberal democracy. Hence, I don’t think that the EU should worry about the existence of its institutions because the EU still lays upon the states sovereignty. However, the article rightly suggests the possibility of a shift of bargaining power among the Member States. In other terms, the differences between the EU and the nation state forms of representative democracy reflect two structures not different in terms of legitimacy. Indeed it is true that the EU has shown to be flexible in the last sixty years, and it is reasonable to optimistically assume that once more the EU will be reshaped in the common interest of all the Europeans (and I am not talking about any metaphysical common good).